From New York Times bestselling author Elin Hilderbrand comes a novel about the many ways family can fill our lives with love ... if they don't kill us first. It's wedding season on Nantucket. The beautiful island is overrun with summer people-an annual source of aggravation for year-round residents. And that's not the only tension brewing offshore. When one lavish wedding ends in disaster before it can even begin-with the bride-to-be discovered dead in Nantucket Harbor just hours before the ceremony-everyone in the wedding party is suddenly a suspect. As Chief of Police Ed Kapenash digs into the best man, the maid of honor, the groom's famous mystery novelist mother, and even a member of his own family, the chief discovers that every wedding is a minefield-and no couple is perfect. 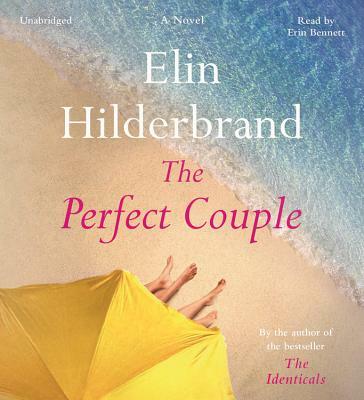 Featuring beloved characters from The Castaways and A Summer Fair, The Perfect Couple proves once again that Elin Hilderbrand is the queen of the summer beach read.